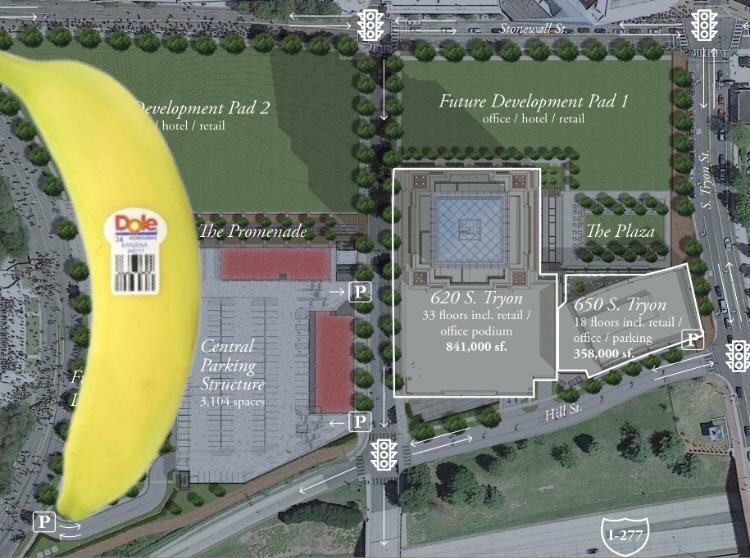 How many Fortunately 500 companies will be HQ'd in the Charlotte area with the addition of Dole? I doubt this is the Nashville/Charlotte operation, as it says in the article the CEO bought a house in Charlotte last fall. 12-15k I suspect the CBJ is estimating off the building permit application and typical floorplates at 200 S Tryon. This could grow I would think, but probably doesn't require a lot of jobs. Most of the corporate jobs at Dole I suspect are logistics related, which make sense to stay near their west coast ports. Edit: Don't believe they will count as a F500, cause 1) they are probably 500-600 on the list, 2) don't report financials publicaly, which is a requirement for that list. Dole is a private company, so not technically on the Fortune 500. They do rank in the Top 100 privately owned companies in the USA though and have revenue similar in size to other large private companies like Hobby Lobby, Discount Tire, Petco, and Neiman Marcus. ^Is Dole a F500 company? I can't seem to find anything and I can't access the Fortune website as I'm currently in the UK so GDPR means I can't access it. EDIT: They did go public again though. They aren't a member of the Fortune 500, but they are among the largest private businesses. Their name is globally known though and would be a prestigious brand to consider "based" in Charlotte. Nonetheless, noteworthy, more cred for Charlotte. ^^^^ and make sure the above designed Banana Tower is bright yellow and it does so fit perfectly in Legacy LOL. Wonder what this could mean for some South American flights at CLT? And here's the Observer's take - hot off the e-mail notice. You don’t move your executives to a business friendly state and not plan to move your HQ there.....right? I think this banana will stay, only if someone buys it and more it like the last banana. This may be a move like other corporations not to upset the apple cart so to speak but if the top execs are in Charlotte that is the HQ just as with Krispy Kreme. Interesting Dole sold their corporate office building in Westlake Village CA in 2018 and operates only in a portion of it. I would not be surprise to see another Fortune 500 company making its home in Charlotte this year. neither would I especially from NY NJ CT or even Cali. What was the info you had around the Nash/CLT operation? Rumored dual HQ opportunity? No someone from Nashville said that a company considering there was likely coming to Charlotte instead. Anything ever come of BMWUSA wanting to follow Mercedes out of Jersey? CLT would be a natural fit. No but it is highly rumored that one day they will move south. Personally as execs and corporately as a company. they could save lots and lots of money here and be closer to their main plant. and yes Charlotte is the natural fit for BWM due to proximity to Spartanburg as Mercedes with their largest plant in Alabama was for now in Atlanta Mercedes Benz North America. The Bimmer Dome at Bank of America Stadium has a good ring to it. a 100% federal tax on incentives and subsidies provided to for-profit entities. This is just kinda of a NC shuffling but Lowes moving 600 corporate jobs from Wilkesboro to Mooresville. But I wonder still if the top execs claiming they need the space move in with the new tech office planned for Charlotte.